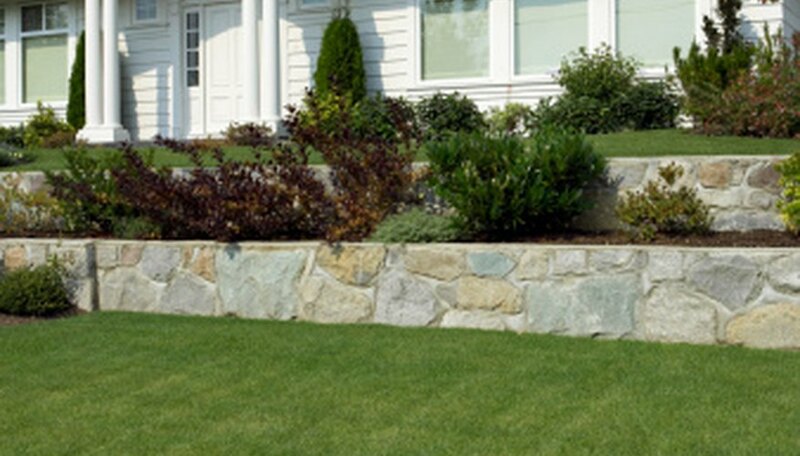 Many homeowners enjoy the functionality and attractiveness of a retaining wall. Flowers and plants add color and soften the texture of a wall. Gardeners can choose from a wide range of annuals, perennials and shrubs that will complement the wall. 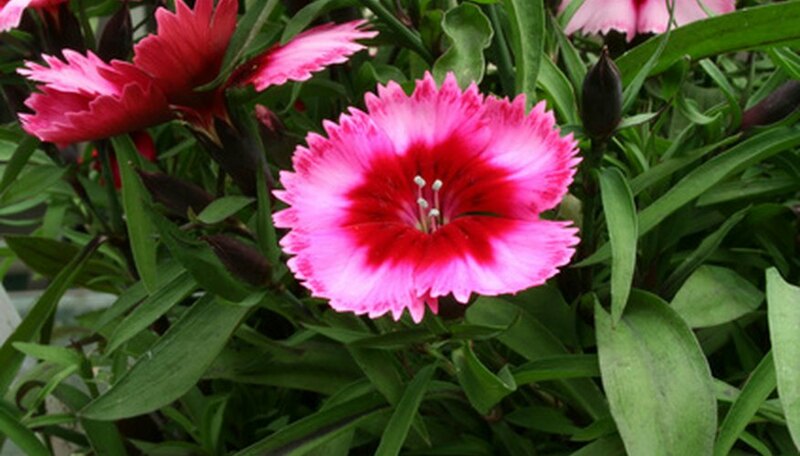 It is important to choose plants that are well suited for the climate and lighting conditions. The effort spent on a thoughtfully planned flower garden, near or within a retaining wall, will produce years of enjoyment. Rather than build a flower bed next to a retaining wall, gardeners can choose to add color within the wall by planting crevice plants. These plants tolerate the poor growing conditions among rocks, crevices or stones. To plant seeds within a wall use a folded index card and scatter the seeds into the fold. Next, place the folded card into a crack in the wall and carefully blow the seeds into the crevice. Gently water the seeds with a mister. Place a wet facial tissue in the crack over the seeds. Water regularly by misting until the seedlings are strong. The woolly yarrow (Achillea tomentosa) makes an excellent flower for crevices and offers yellow blossoms all summer long. Dragon’s blood (Sedum spurium) features deep red blooms during summer with purple foliage. For blue flowers, plant campanula (Campanula porscharskyana), which is commonly called bellflower. Snow in summer (Cerastium tomentosum) produces silver foliage with white flowers for contrast within a dark color retaining wall. Any trailing or cascading flower that is used in a hanging basket makes an excellent candidate for placement on top of a retaining wall. Even a small margin of nutrient-rich soil on top of a retaining wall can support attractive colorful flowers that will trail down over the wall and add visual interest. 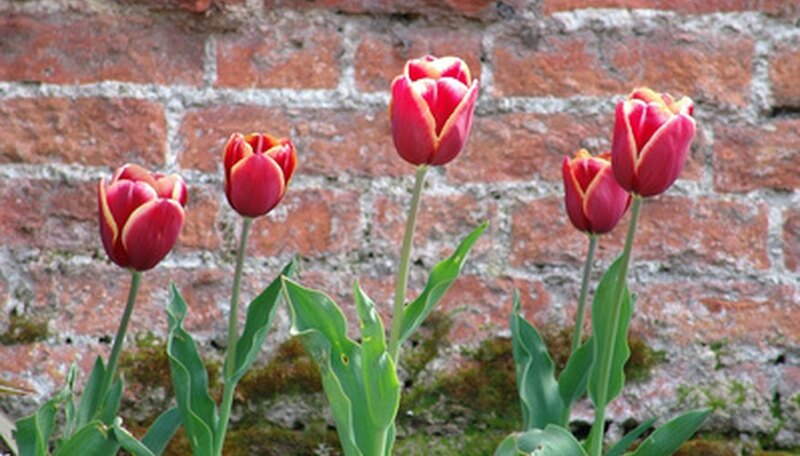 When planting, place the seedling near the wall to encourage it to grow over the wall. Choose plants well suited for the climate and light conditions of the area. One very hardy cascading flower is calibrachoa or Million Belles. Although considered an annual, it can often survive mild winters. Cultivars of calibrachoa feature blossoms in red, pink, white, violet, yellow, blue and orange. For a retaining wall in full sun, Bidens (Ferulifolia) will supply a summer of bright yellow flowers. The lacey foliage of bidens can soften the appearance of a brick or rock retaining wall. Surviving in sun, shade or partial sun is the scaevola, which provides lavender flowers all summer. Three other trailing flowers, serving well over a retaining wall, are acopa (Sutera), licorice vine (Helichrysum petiolare) and trailing verbena. 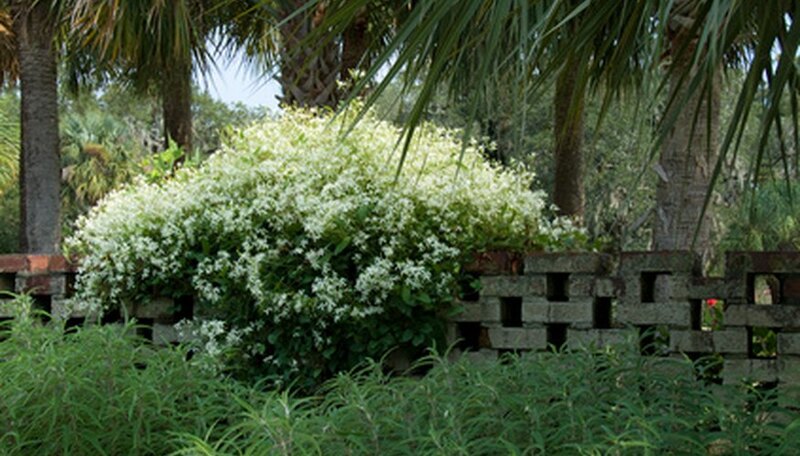 Any of these cascading annuals will supply color, texture and interest to a retaining wall in the home landscape. Gardeners choosing to plant a flower bed next to a retaining wall must first plan the design. Horticulturists with North Dakota State University recommend planning the flower bed from the back to the front or from the center to the sides. They advise creating three levels of flowers. The border plants in the foreground should not exceed 12 inches. The middle of the bed should have plants from 12 to 36 inches tall and the tallest should grow 2/3 as tall as the width of the bed. If a flower bed is in front of a retaining wall, gardeners must decide if they want plants growing taller than the wall. If a flower bed is planted above a retaining wall, gardeners must consider the landscape and views behind the wall. In any case, the rule-of-thumb is to plant three levels of flowers. When choosing annuals or perennials for the flower bed, use a mixture of textures and shapes. To create cohesion and symmetry, repeat colors and plant in odd numbered groups such as three or five plants. Landscapers can add a garden ornament, statue or fountain to the flower bed as a focal point.